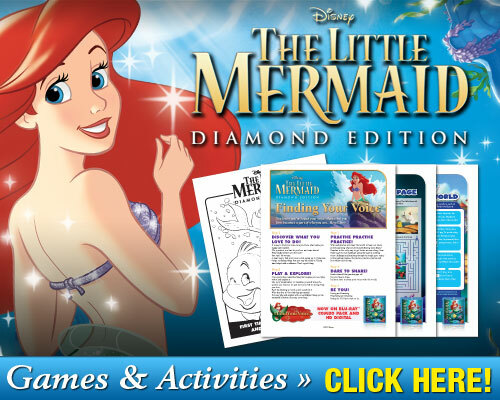 Check out these fun free printables celebrating The Little Mermaid Diamond Edition release. Activities include a fun MadLibs-style game that allows kids to really become part of Ariel’s world; Little Mermaid puzzles and several free printable coloring pages featuring all your child’s favorite Little Mermaid characters? Are you excited about sharing this classic Disney movie with your children? I still remember watching it when I was much younger. It was instantly one of my favorites! I always thought it would be fun to be a mermaid and live under the sea, especially if I had a babysitter like Sebastian and a friend like Flounder! The Little Mermaid Diamond Edition is available on Blu-ray Combo Pack now. Head over to Amazon to snag it for just $26.98! This would make a great holiday gift for anyone on your list, both young and older!